NZDUSD corrects up to 200 hour MA/200 day MA. Sellers should lean. 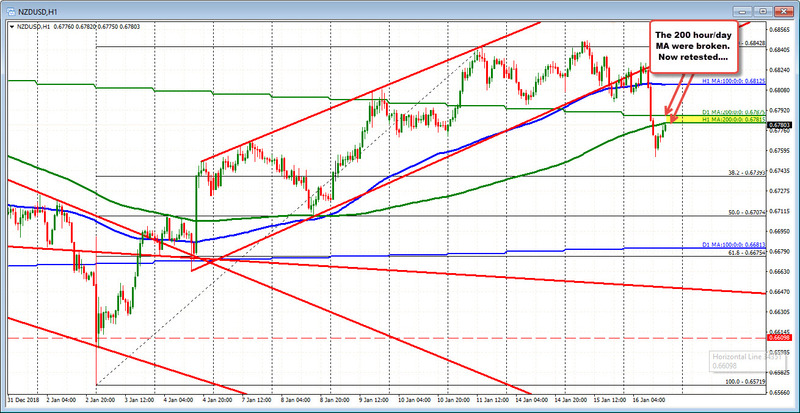 The NZD is the weakest of the majors today but we are seeing a correction higher in the early NA session. The price rise has returned to the 200 hour MA at 0.67815. The 200 day MA comes in just above that at 0.67875. Those are too formidable levels that were broken earlier and should now attract sellers on the first test. Risk for sellers is a move above both. Key test after the move lower today.